On Saturday Papetrey Ink hosted their fourth annual Stamp-a-fair which is an online all-day stamping event. 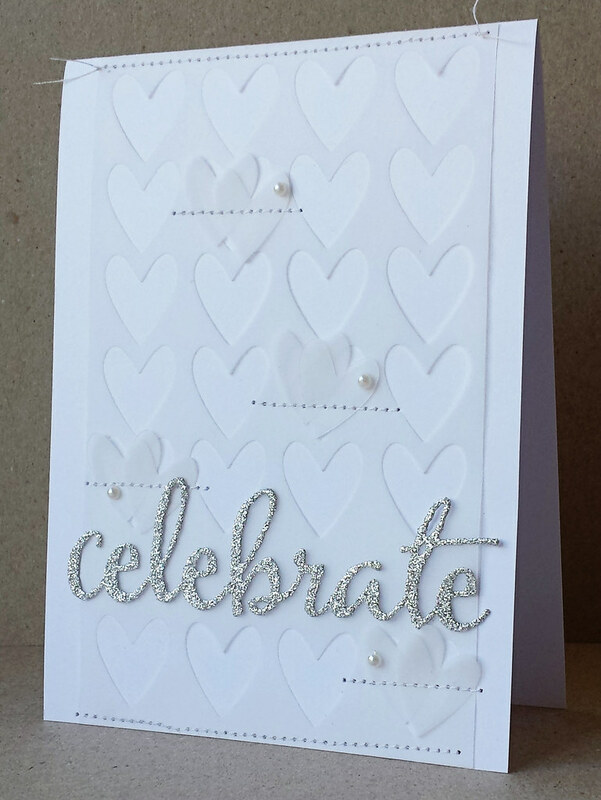 I didn’t manage to do much during the week-end but I’ve now finished my card for the first of the challenges: The Bridal Challenge. 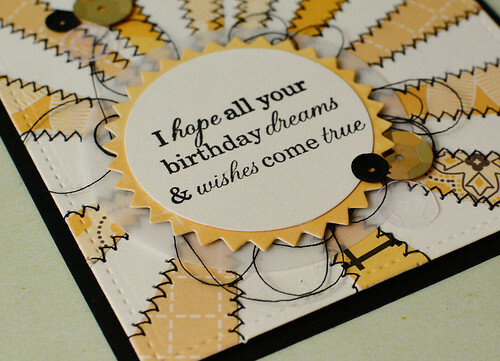 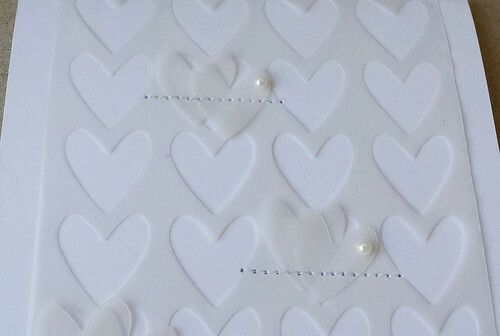 Here you had to create a card using all white with only a neutral colour for the sentiment. 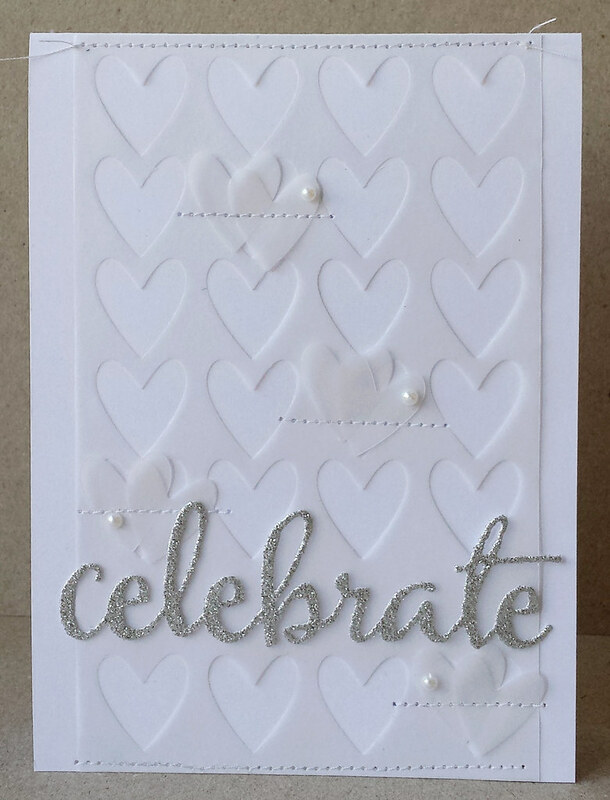 I decided to use the Heart Cover Plate to diecut a piece of vellum that I cut down so that it would fit in the middle of my card. I stitched it to the card at the top and bottom leaving a few strands of thread visible at the top of the card. To add some detail and interest I added four clusters of hearts, stitched them down and added some pearls to each cluster. 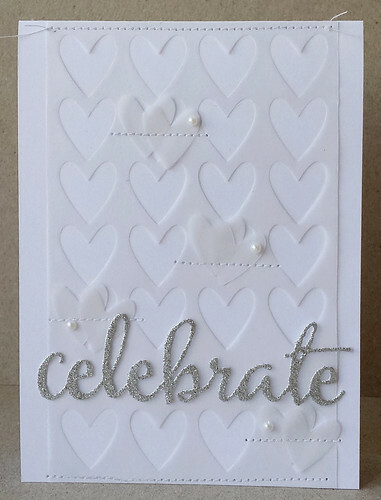 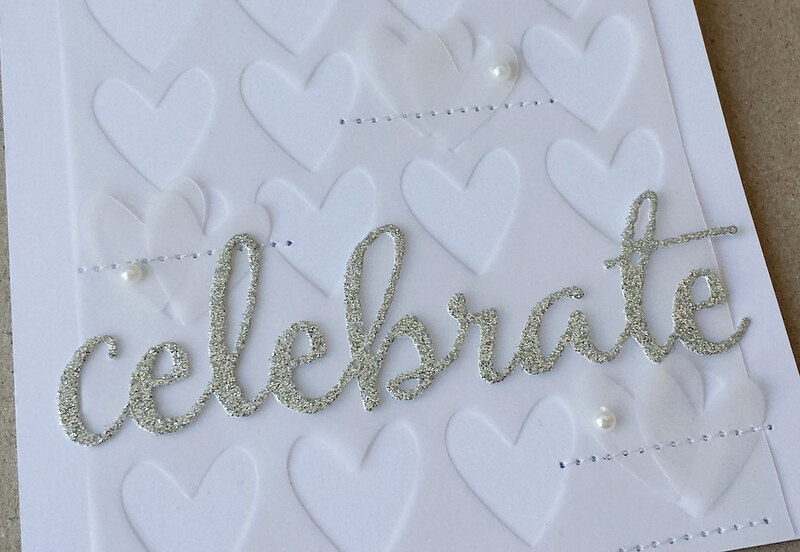 For the sentiment I diecut the word “celebrate” in a silver glitter paper and added to the card. 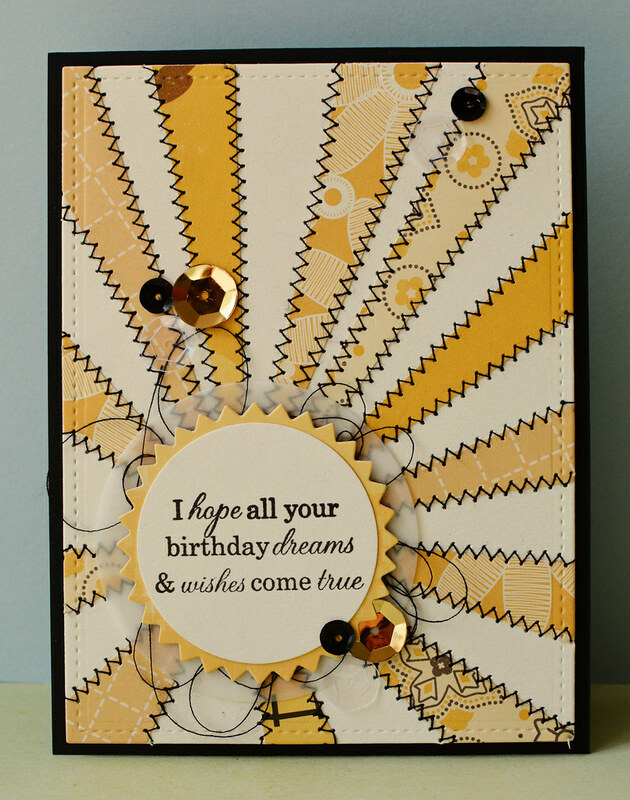 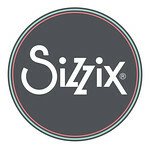 I’ve added this card into the Simon Says Stamp Wednesday Challenge: Anything Goes.